With Nintendo finally having a new direct after such an extended absence of not having one, I was definitely ready to see what they would announce. 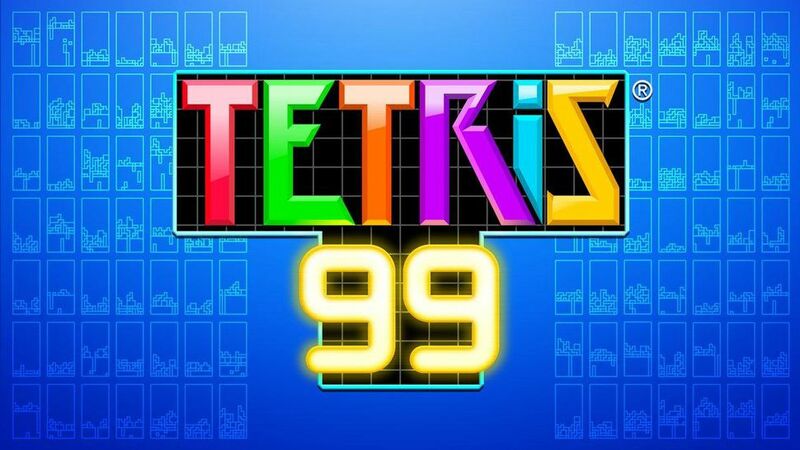 They did not disappoint with their big title being Tetris 99. Right now we are in the era of the freemium games. Why pay 60 for something like Call of Duty when you can play Fortnite for free and still get all of the features? I think we will keep seeing a rise in these kind of games and that’s a good thing. Of course, that does mean that the shovel ware may start to come soon but we’ll tackle that issue when it arises. The game is pretty simple fundamentally. You have a large board of columns and rows and blocks start to fall into it one at a time. Your goal is to keep the blocks from filling it up which means that you have to destroy the blocks. The way that you do that is by filling up a full row. Sounds easy enough right? There are only about 5 different kinds of blocks so you’ll want to memorize how they go. It’s definitely a lot harder than it sounds though. The game assumes that you are already quite proficient with Tetris so there is no tutorial to be found or anything like that. You’re just tossed into the action and from there you have to learn these things. One thing that takes some time to get used to is the fact that even if a block looks like it should fit, you can’t put a block under a space that is filled. This is the single trickiest part that will mess you up over and over again until you finally master how that works. By that point you will want to work on your speed. You’re able to cause the piece to fall immediately to the ground or you can go slow and take your time. The latter is only when you are unsure of what to do as the former is always better. Taking your time is just asking other players to attack you and cause the screen to fill right up. Of course, going fast when you’re not sure what to do will just cause you to lose so it’s definitely a tough choice. Right now I’ve only reached top 50 a few times and haven’t come close to winning yet so I still need some practice. That’s all about Tetris though so let’s talk about the 99 part. This is a battle royale after all. There are 98 other players also trying to keep their jars empty. When you clear a row you get to send a piece of junk to the opponent. They can clear it away by also clearing a row. However, if they fail to do so on time then a bunch of blocks will fill up a few rows. With less rows to use you can see how this would make things difficult. You can choose who to attack for quick KOs, but it takes some time and in a fast paced game like this it’s risky. The graphics are pretty nice I’d say. The levels are bright and everything is well defined. It may not be the next Kingdom Hearts, but you’ll always know what you’re doing with minimal confusion. (Well, not counting the mechanics as you’ll need to look those up) There isn’t much of a soundtrack that I noticed but the tunes that you hear in the background are all pretty fitting. There was clearly some good effort put into this game. I also hear that it’ll be getting some ongoing updates so that should make the game even better. The replay value here is pretty self explanatory. You can just keep playing to get a lot better and more proficient at everything. The game keeps detailed stats including your Play Time and Wins. Your user level also goes up. I got up to around level 5-6 and I saw some people as high as 21. It’s the little things like that which help take this game to the next level. Overall, Tetris 99 is definitely fun. The matches are quick so it’s easy to just keep on going. The loading times between battles are a bit long admittedly but I guess that makes sense considering how many people are playing in each battle. The aesthetic is nice and as the game is free there isn’t really a drawback to buying it. I’d definitely recommend getting this game ASAP as it will naturally be a lot more fun when everyone is playing it. It’s the kind of game where you want to have a full lobby to fully appreciate what the game should be like. There isn’t a whole lot of other stuff to say about this game due to the very nature of it, but that doesn’t change the fact that it’s a title you should play. This entry was posted in 7 Star Games, Game Reviews, Games, Reviews and tagged Battle Royale, Free to Play, Game Review, Nintendo, Nintendo Switch, Review, Tetris, Tetris 99, Video Game Review by dreager1. Bookmark the permalink.